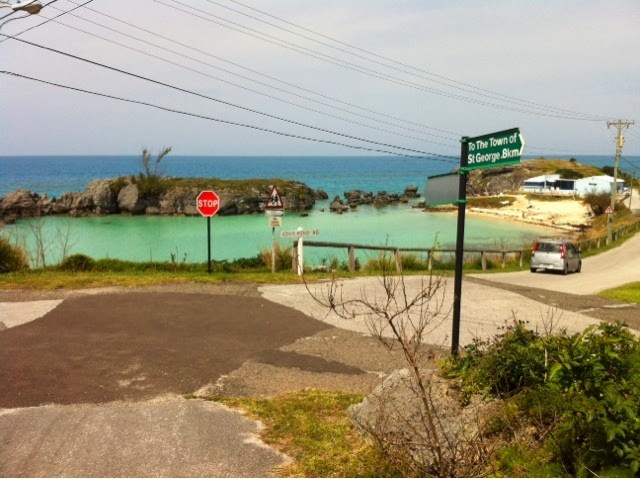 Bermuda might be my favourite port so far! 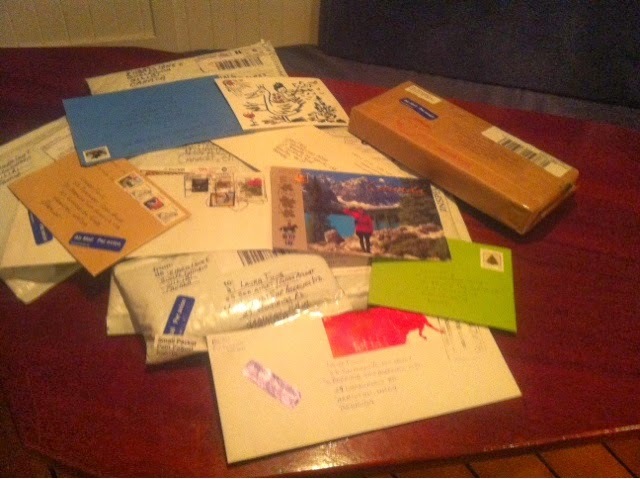 It was off to a good start, as well as the whale sighting, the night we arrived was mail day! After a disappointing mail port in the Dominican (more to do with the DR mail service I think then thoughtful friends) I was thrilled to have 15 pieces of mail waiting for me! I opened a couple that night but most I'm saving for the mid-Atlantic. Thanks to everyone who sent something!! 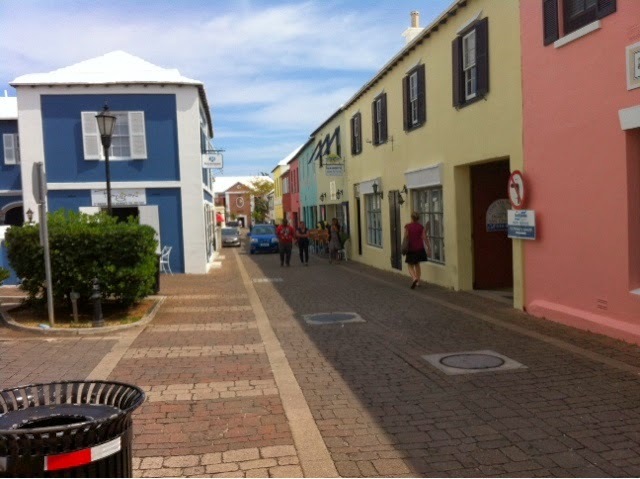 As well as a whale and mail, Bermuda is just so easy to navigate compared to a lot of places we've been. It's western and English speaking which goes a long way. It's also got beautiful beaches, turquoise water and colourful houses. Of course the climate is quite moderate but I think they have actual seasons here, not just hot all the time. The weather has been shorts and T-shirts warm by day and a little cooler at night which is perfect as far as I'm concerned. The people are very friendly and polite. "Good morning" and " good afternoon"s are said to those you pass, store clerks are helpful (one let me know about a visitors card I could get for free which got me 10% off my purchase) and I've seen a bus driver lift a stroller off the bus for a mom on board. Our first day here was a bit strange as it was a scheduled school day (remember we arrived a day early) so the kids were in classes till 4 and then had to do a deep clean of the ship before getting shore leave. I made it to a pink sands beach. Beautiful! But not pink in the way PEI dirt is red, it's more subtle. On the advice of a local artisan I talked to I went just before sunset which was perfect. 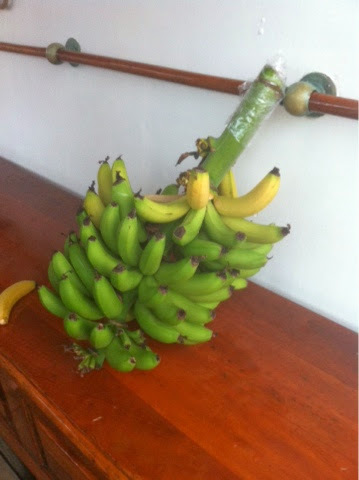 One day we had a local lady who knows some of the crew stop by with a chunk of banana tree from her garden! Unreal. I very much enjoy picking fresh bananas from the tree to eat. We also got more substantial provisions in and our stores are full in readiness for 25 days at sea. There was a big crew change in Bermuda which is the last one for the semester. It was a rare occasion that the whole crew, maritime and accademic, were able to go out for dinner together, 2 chief mates, 2 bosuns, 2 shipboard directors, etc. as there was a couple days of crossover. The only one missing was Captain Sture who arrived the next day. The 2 on watch were invited to spell each other off and join us (the restaurant we ate at was across the street from the ship) but they opted to take their food to go and ate together. At any rate it meant no cooking dinner for anyone as the students were all out and about and that was a very nice treat! Another day I had time off and headed north to St George's, a UNESCO heritage town. It's small and lovely, the bus let me off across from a bakery and there was a yarn store close by so top marks for first impressions! 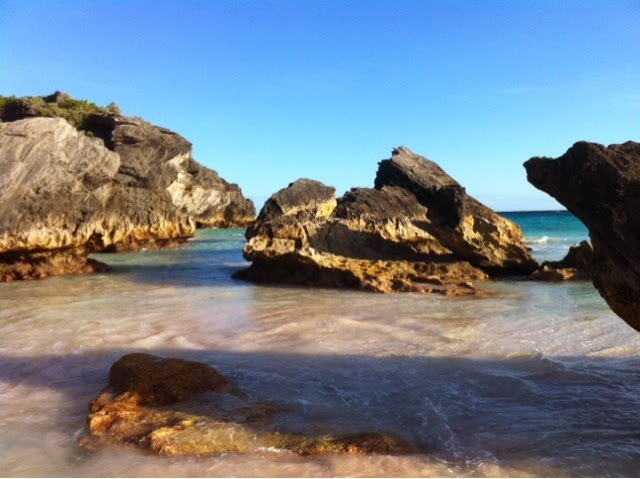 After looking around St George's I headed to Tobacco Bay and did a little snorkelling. Was it cold? Not really, Guelph Lake in May is much worse! I didn't stay in too long but saw a bunch of different fish and coral. The highlight was seeing large parrot fish that were beautiful shades of teal, purple, rust, yellow and green and so bright they looked like they'd come right from a Crayola box. 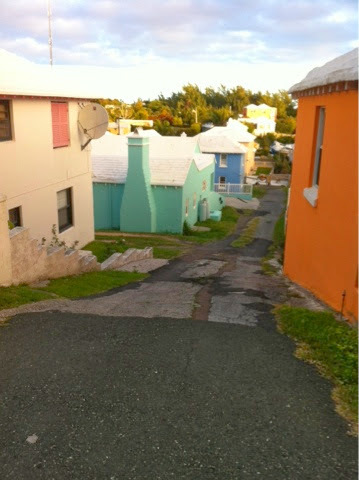 Random fact about Bermuda: there is no fresh water so everyone must collect rain water from their rooves! I'm not sure how it gets used after that (for the household? Into a central system?) but I found that interesting. So that was our last port on this side of the Atlantic - next up, ocean crossing! I'm excited and a bit nervous but not at all worried that we will make it there safely. And very excited to be headed back to Europe! 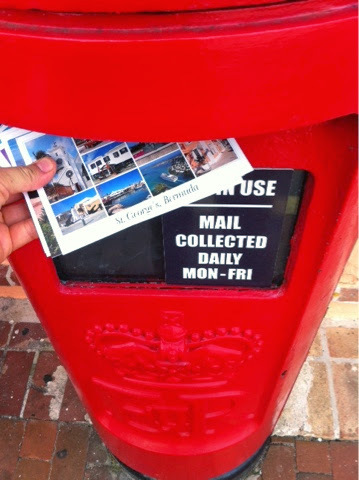 I got your postcard from Bermuda yesterday. Thank you! How great that you had 15 letters waiting for you!